Maybe a bit too much makeup. Hope the Patriots football team wins tonight!! At least Ohio State won yesterday, finally. I thought they might not for a long while. Stylish - and armless! Probably harmless as well! Very funny narrative and totally scary looking face! 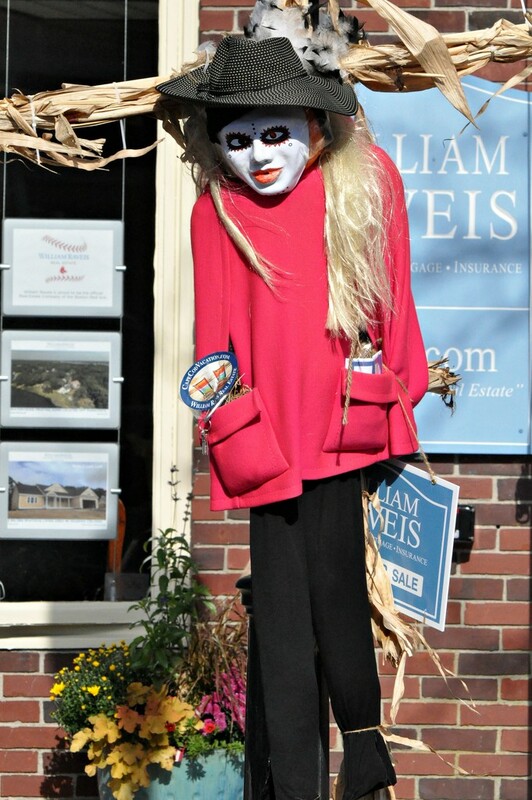 An interesting scarecrow. I agree. A little too much makeup.